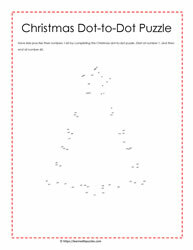 Do you remember those dot-to-dot puzzle books we used to complete as kids? Here at Learn With Puzzles, we loved them! Little did we realize that there was more to tracing all those paths along the numbers to complete the puzzle and then color the picture. So now, we are in the process of building our dot-to-dot puzzle base. These puzzles support learning numbers, step counting (count by 1s, 2s, 3s, etc), fine motor skills and visual acuity. Kids love to solve problems and how much fun would they have if they could guess what the picture was before they had completed the puzzle? To complete the puzzles, find the starting point, connect the dots to the end, and then color in the picture.